free on the App Store. 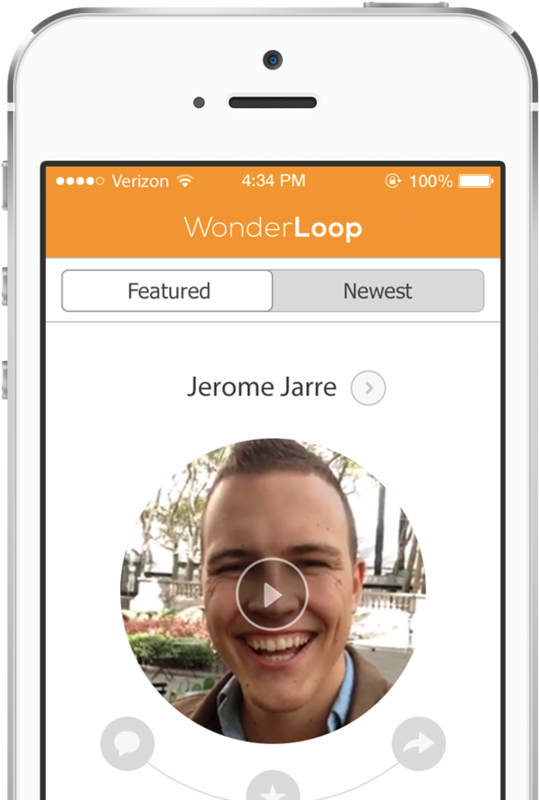 Wonderloop is a tool, more than a social network in itself. We want to drive traffic to social networks based on new connections made. It's the step before social networking. It's the step before everything. We are creating the technology for making it possible, to see who we are, then we hope the journey continues beyond us, out of our hands. It's been our founding intention that Wonderloop should be like real life; a new connection and what will come out of it cannot be decided by technology, only by the use of our personal intuition and preference. For those who have read Malcolm Gladwell's 'Blink', you could say it's about creating technology that will make social connection faster and better. With Wonderloop, we wish to change the culture of human identity and with that change the way we connect and give to others around the world - directly, to people. After sixteen years of thinking how this could be possible, I have come to what Wonderloop is today, and more importantly what it will be in the future. It has been greatly inspired by Oprah Winfrey on the way while growing up in a small town in Norway. I would like to thank Oprah for giving the tools to believe in big dreams regardless of where we live in the world. For thinking big. For wanting to give love to others. The journey of Wonderloop is just beginning.